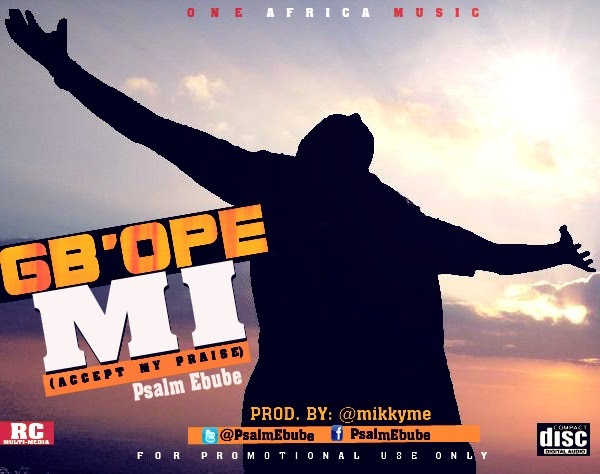 Psalm Ebube appreciates God with the visuals of another praise song, “Gb’Ope Mi”. The uplifting song -Gb’Ope Mi- which extols God and celebrates His goodness over our lives, is the hit single off Psalm Ebube’s sophomore album ‘Greatness’. The multiple award winning Psalm Ebube is the artiste behind one of Nigeria’s top indigenous praise songs of the moment ‘Kabio osi’. Psalm Ebube who sure knows how to put originality into his music and also well known for featuring Nollywood actors, actresses, OAPs, and comedians in his videos (like we have it in Kabio O Si, Ebube etc) just upped the ante by alot of stake higher, this time with the winner of Crystal Awards 2014 best video director, Oluyinka Davies. This crystal clear video stars Kabira Kafidipe Arapareganagan, Baba Ijesha, Olumide Bakare, Lara Olubo and more. The storyline is one that will surely hold you spellbound. “Only a thankful heart deserves a thankful miracle, Gb’ope Mi (Accept my thanks).